OSHKOSH, Wis. — For the first time since the 1977-78 season, the Titan's men's basketball team is the WIAC outright conference champion. No. 3 UWO used a come-from-behind win to defeat UW-Stevens Point 77-70 on Saturday night. Kimberly native Ben Boots had the game high 23 points. 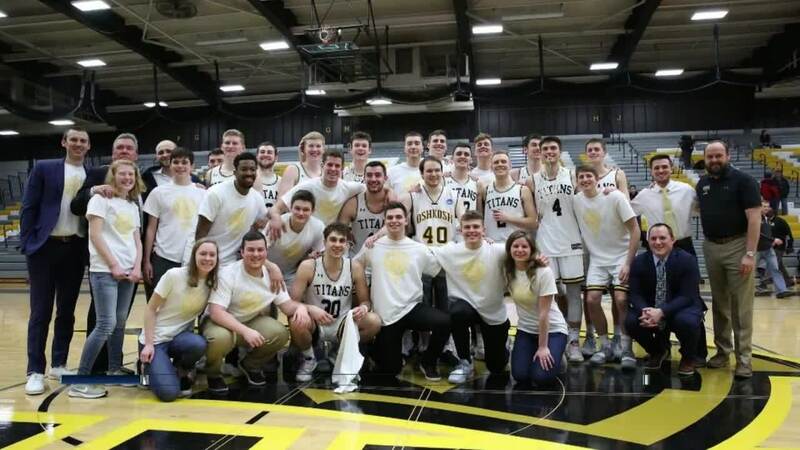 The Titans have won 13 WIAC regular season titles in their 121-year history but none outright in the last 41 years (they won a share of the title in 2002). The 22-1 Titans only loss this season came against Wheaton back in September. The team is currently riding a program-best 21 game win streak. The previous record was 12 wins in a row set back in 1967-68. UW-Oshkosh will face UW-La Crosse and UW-Eau Claire on the road before tipping off in the WIAC semifinals on Thursday, February 21.